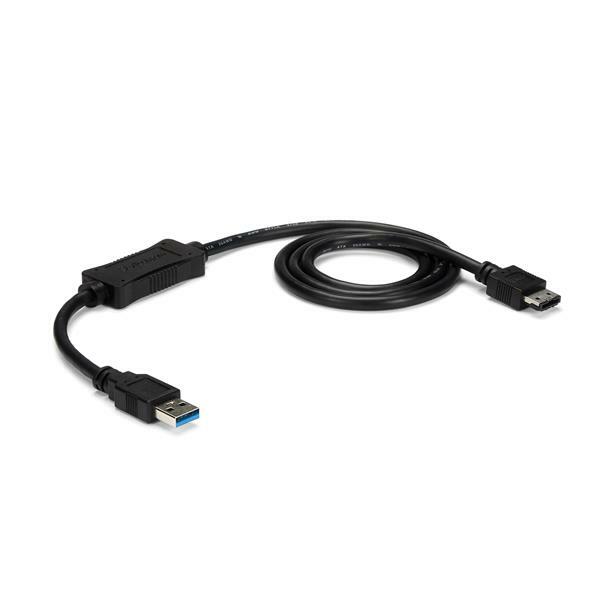 The USB3S2ESATA3 USB 3.0 to eSATA drive cable lets you connect any external eSATA hard drive, solid state drive, or optical disc drive to your USB-enabled computer system -- a great solution for computers that don't natively support eSATA, such as MacBook® and Ultrabook™ computers. 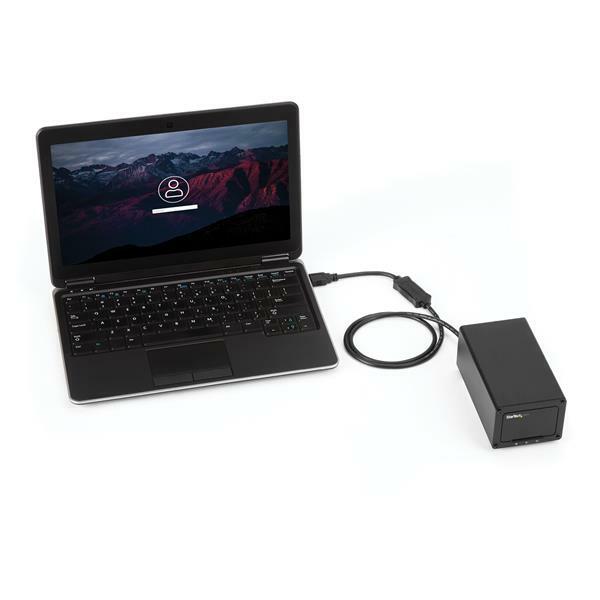 To maximize performance and utilize the speed potential of your SATA 6 Gbps drives, the USB 3.0 to eSATA adapter is compatible with SATA revisions I/II/III and supports transfer speeds up to 5 Gbps through USB 3.0. 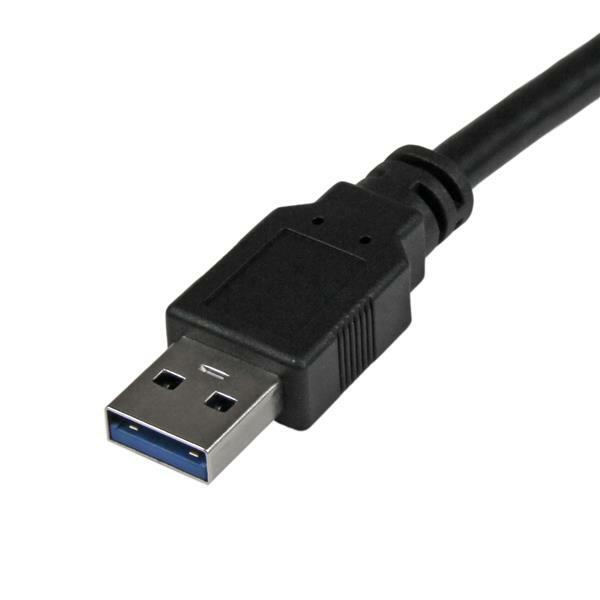 With support for Blu-ray/DVD/CD ATAPI / ODD drives and large capacity HDD / SSDs (tested up to 4TB) the USB to eSATA adapter cable is compatible with virtually any eSATA device, and can greatly increase the storage/backup capabilities of your computer. 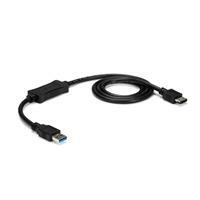 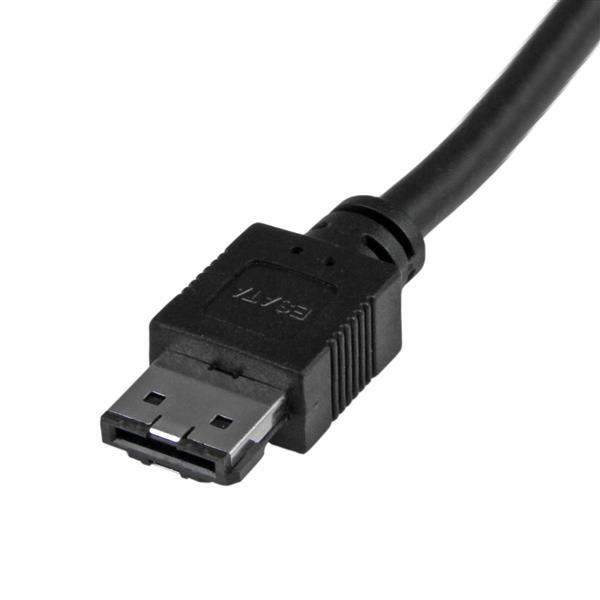 The USB 3.0 to eSATA drive cable ensures a hassle-free connection with simple plug-and-play installation, plus the cable is the perfect length (1-meter, end-to-end) for easily accessing the rear panel USB ports on your computer. 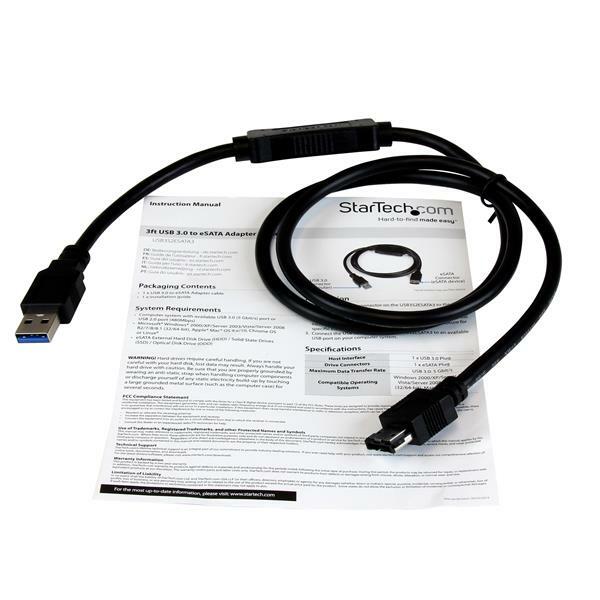 The USB3S2ESATA3 is backed by a StarTech.com 2-year warranty and free lifetime technical support.